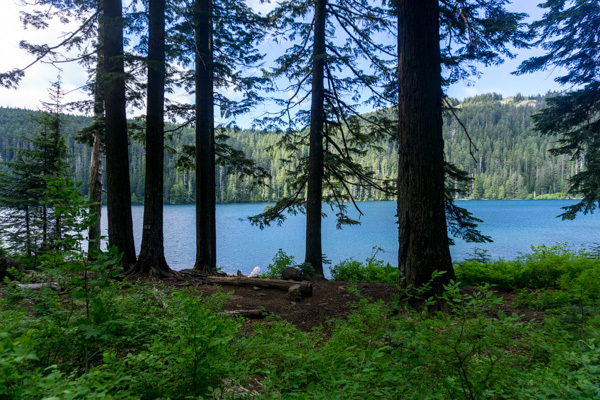 Two years ago, I did a backpacking trip at Wahtum Lake and discovered the vast amount of trails that all convene in this area, including the Pacific Crest Trail, Herman Creek Trail, and Eagle Creek Trail. 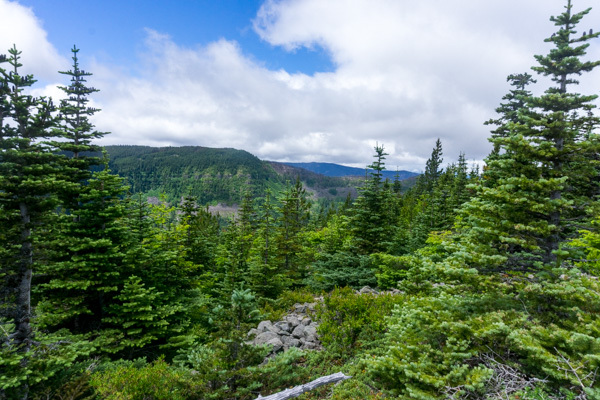 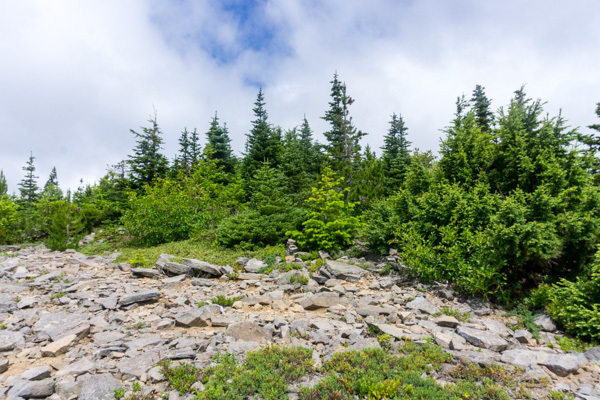 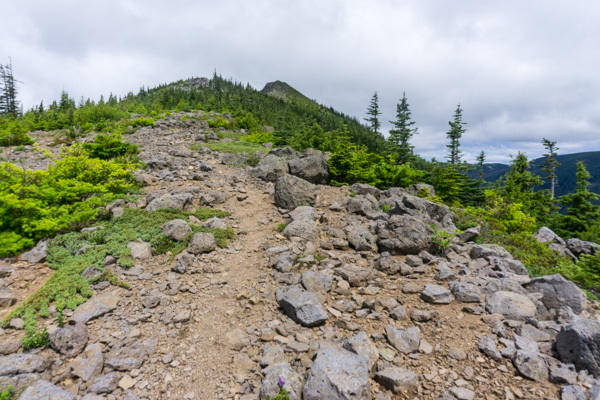 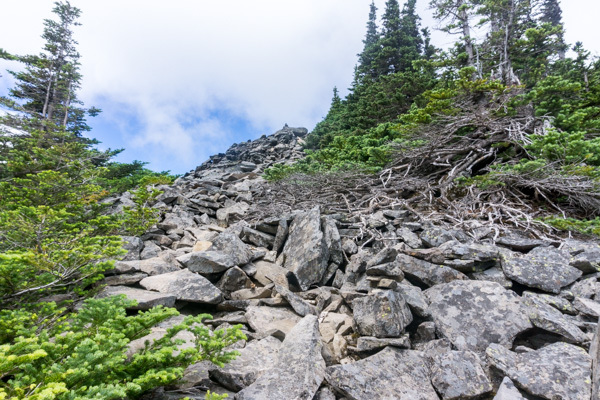 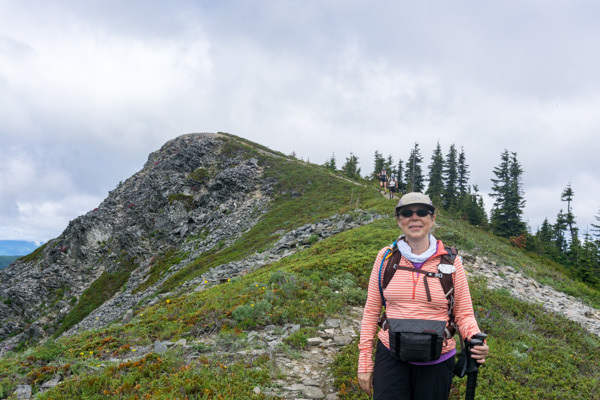 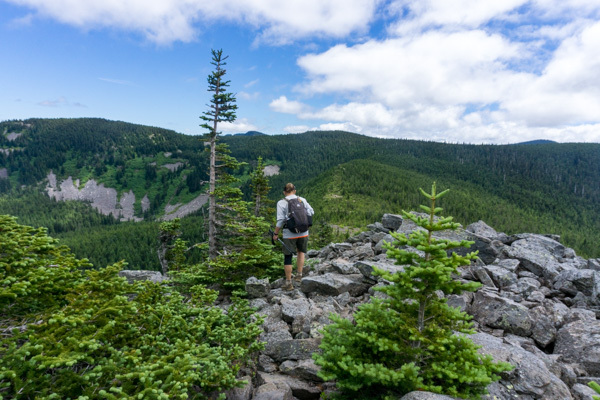 Additional trails lead to Chinidere Mountain, Indian Mountain, Greenpoint Mountain, as well as an unofficial trail to the narrow open ridge and summit of Tomlike Mountain. 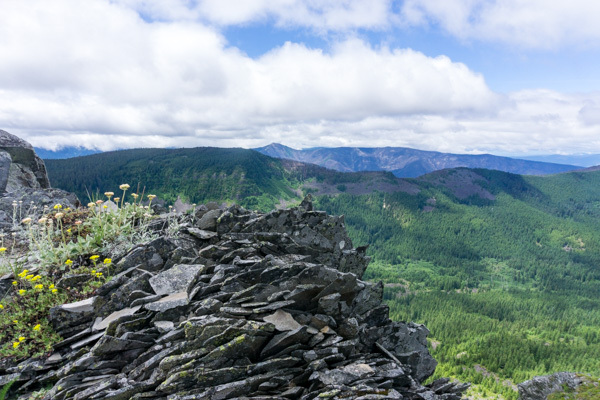 The Eagle Creek Fire closed this entire area from September 2017 until a few weeks ago. 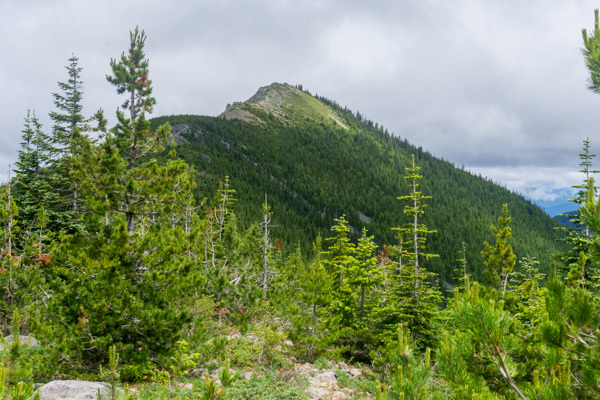 I’d been wanting to go back and hike to the summit of Tomlike Mountain ever since my last trip to the area. 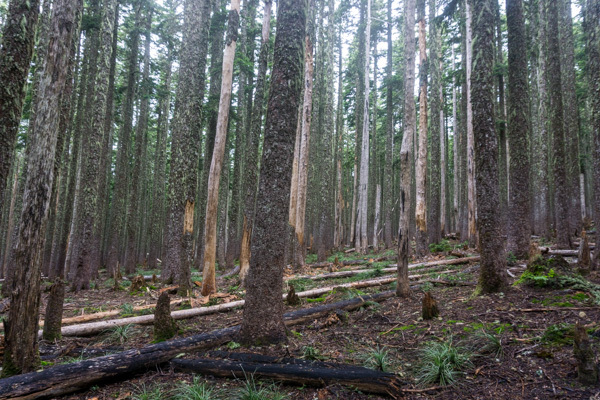 The reopening of the trail gave me my first chance to get a look at the nearby fire damage. 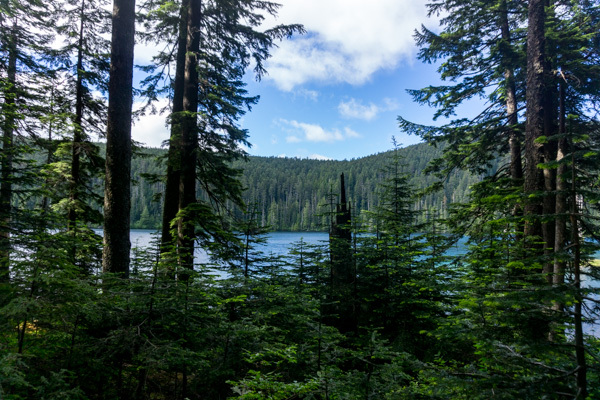 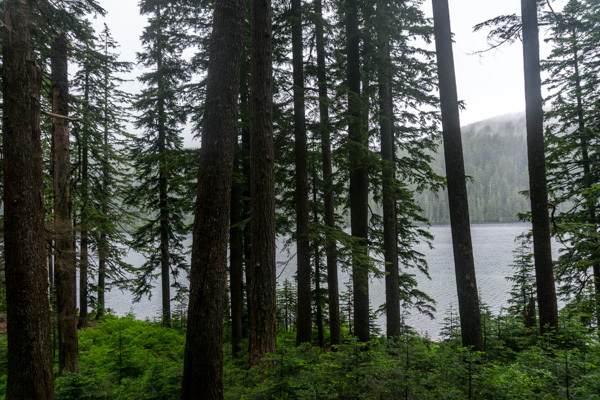 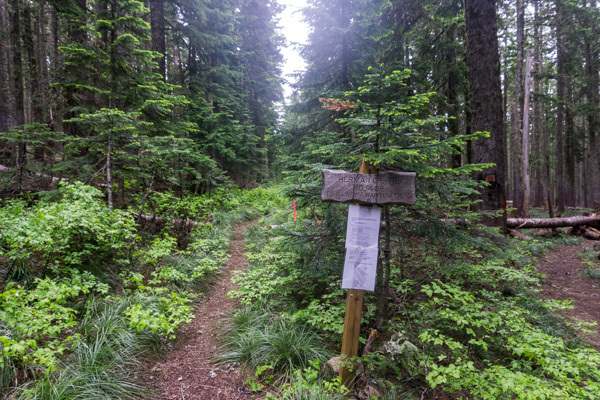 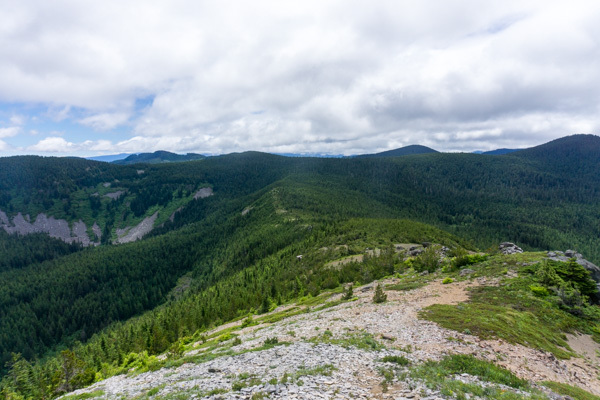 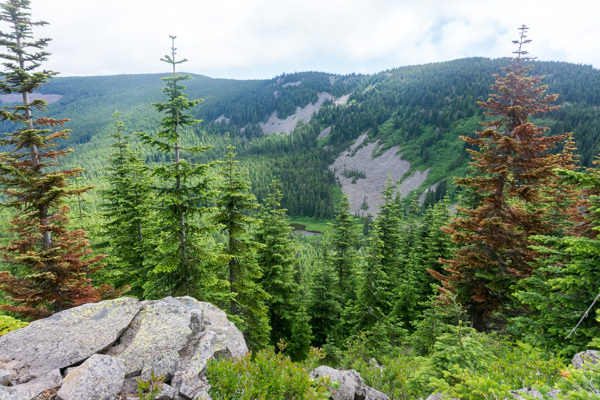 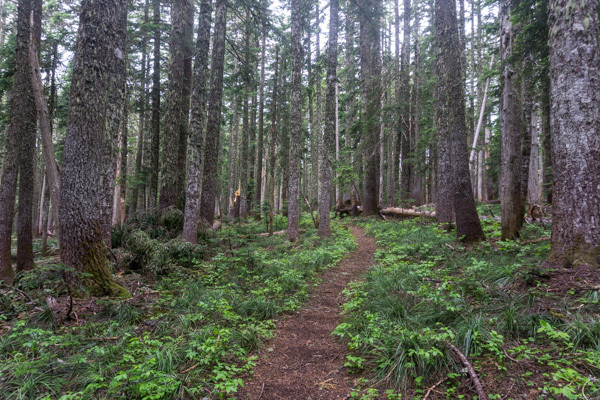 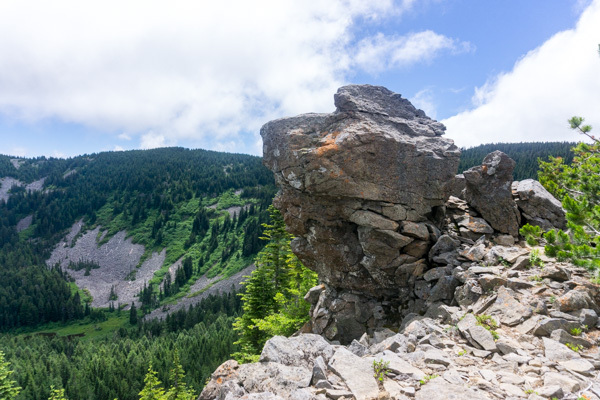 For today’s hike, we started at the Wahtum Lake trailhead and took the Pacific Crest Trail around Wahtum Lake to the junction with the Herman Creek Trail. 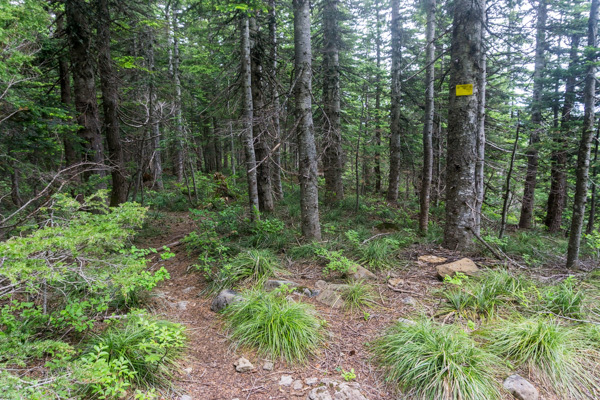 From here, we turned right and continued for one mile to the unmarked trail to Tomlike Mountain. 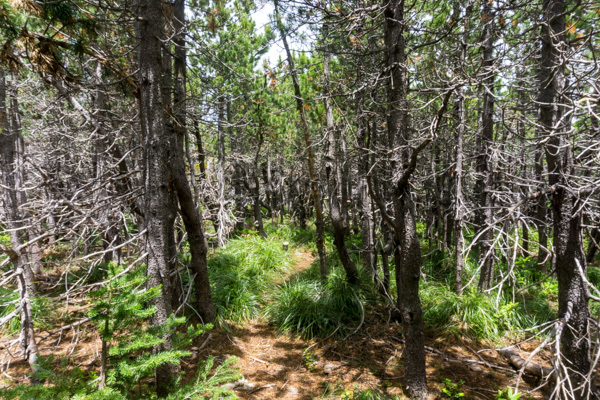 The trail is hard to follow at times, and it helps to stay to the right near the edge of the ridge. 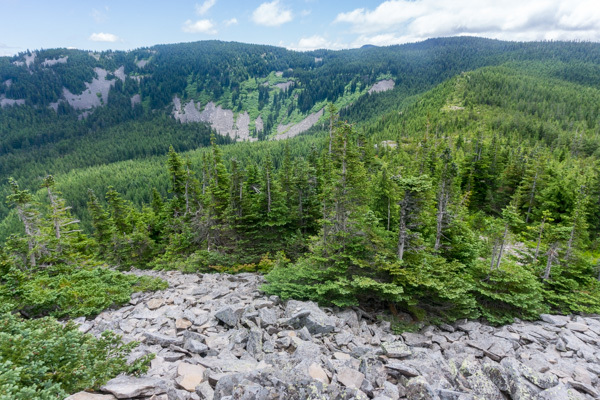 The terrain changes from rocky to forested to flat and open and then forested again. 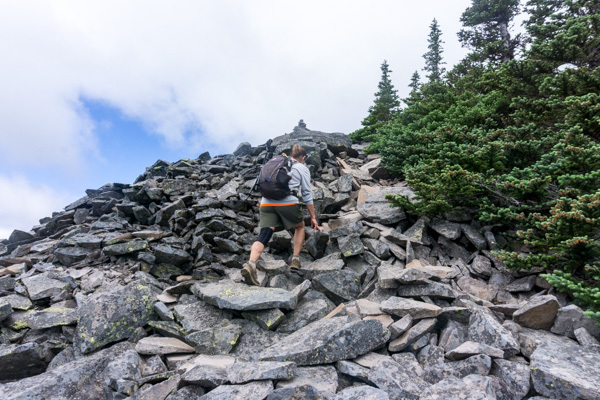 And then rocky to flat and open again before reaching a steep scramble section of big rock. 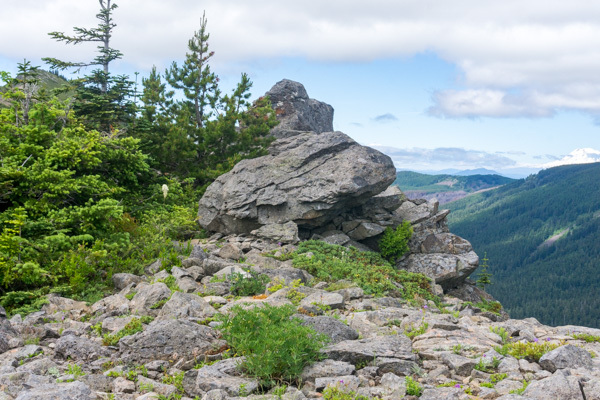 Look for cairns along the way to find the trail. 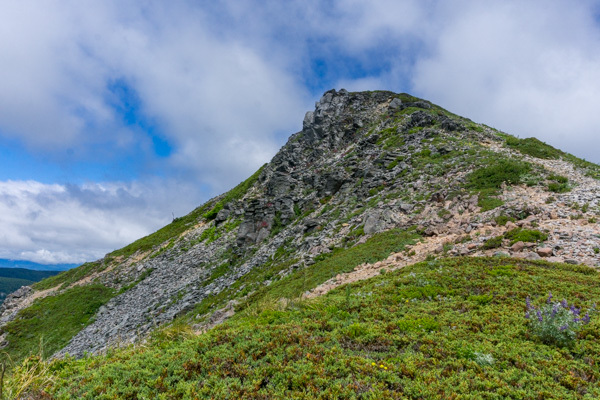 The steepest section is near the summit, on the right side of the ridge. 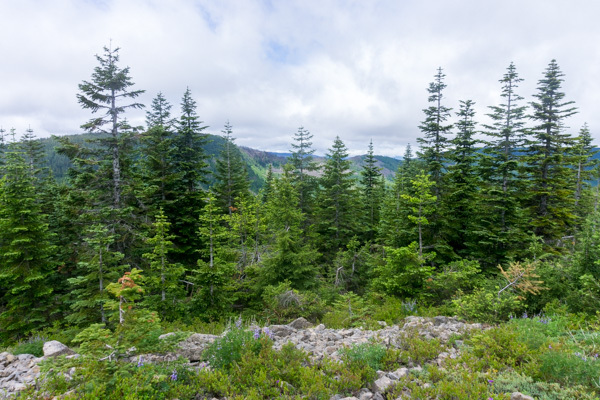 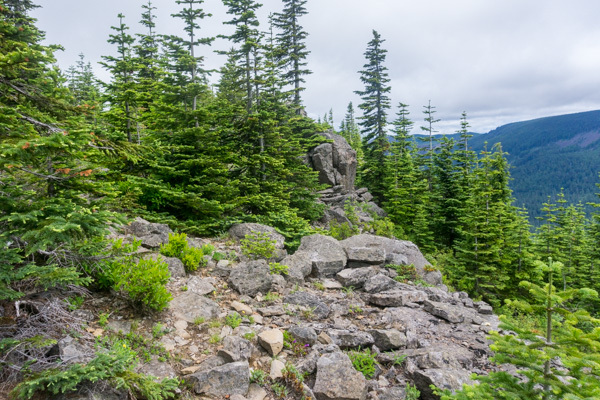 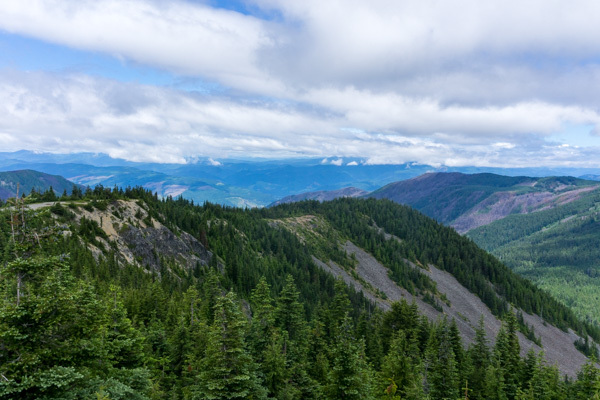 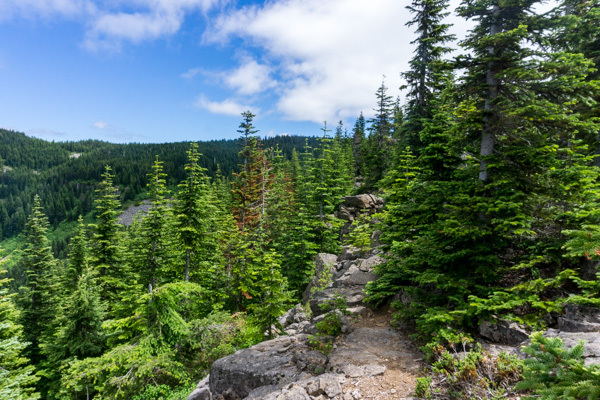 At the top, continue along a narrow path to a viewpoint towards the Columbia River. 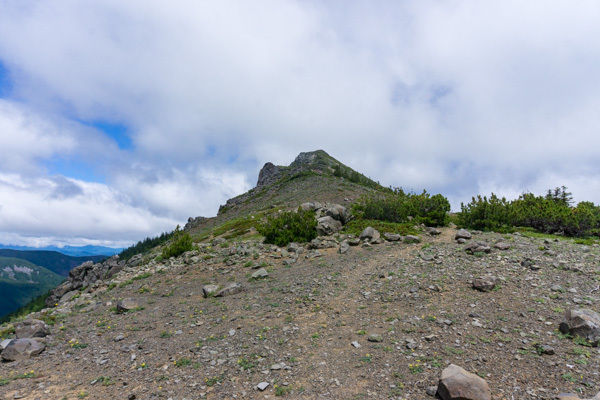 We saw about three groups of people on this hike, mainly trail runners that started at the Columbia River, so their day was much longer than ours. 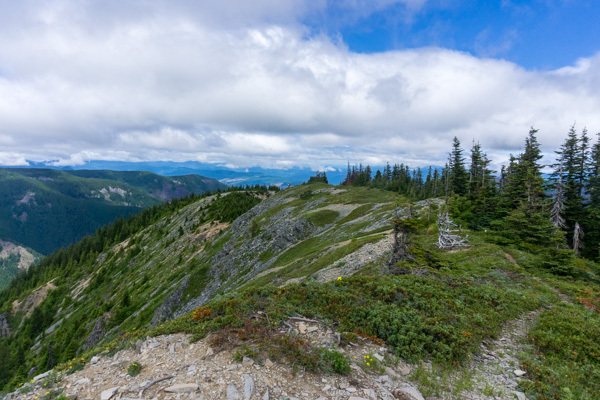 We had lunch at the summit and then headed back. 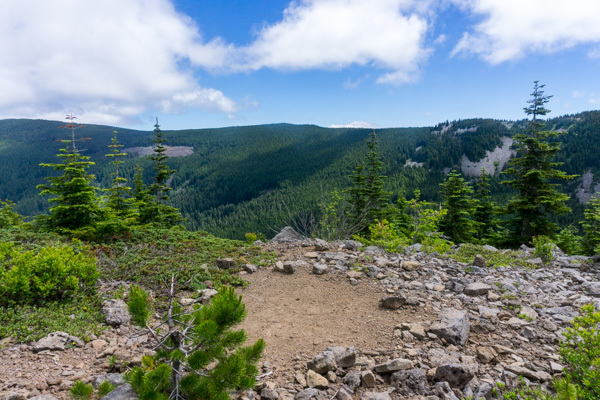 The clouds cleared long enough for us to get views of Mount Adams and Mount Hood, but not for long. 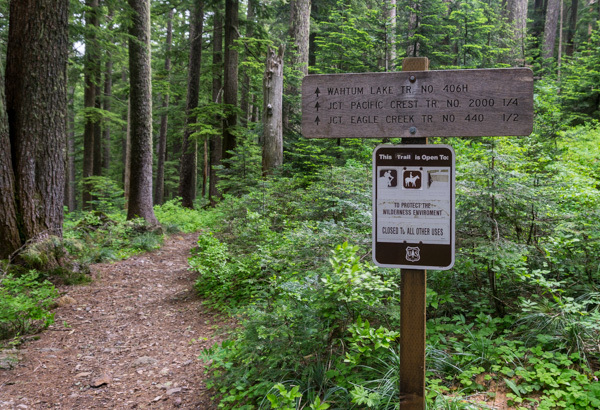 At the trailhead, the area looks the same as the last time I was here. 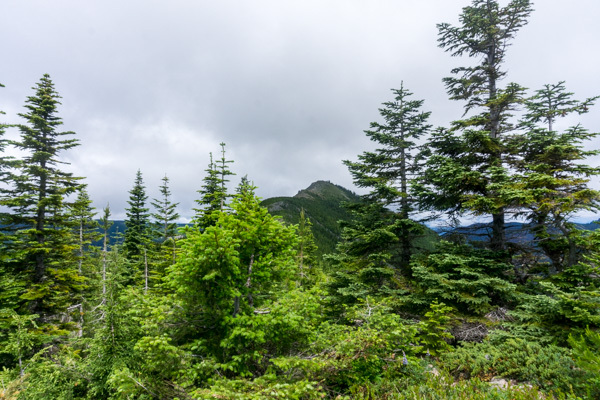 It was cold when we arrived, with fog and wind making us wonder if we should attempt this hike. 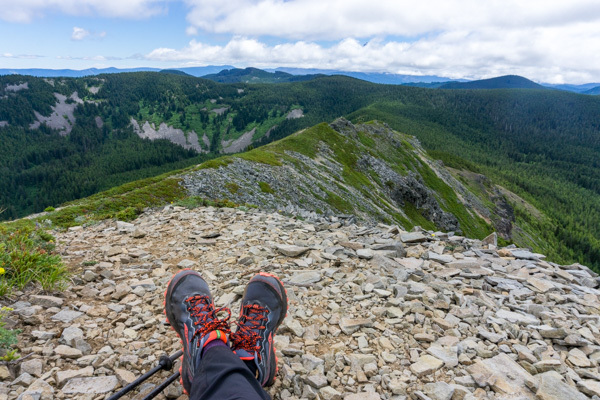 lunch time at the summit!